It is possible to differentiate between flea bites and bites as a result of bed bugs. Most insect bites around the house are usually a result of either fleas or bed bugs. It isn’t so easy to eliminate infestations that occur due to these bites, and they tend to leave a lasting spot on our skin. Some of these insects could also be disease carriers which could make them potentially dangerous. Being able to differentiate between bed bugs and flea bites helps you know the kind of insect you are dealing with and the steps to eliminate these insects around the house. Except you can pre-emptively catch the insect just before it bites, the only way you can identify the type of insect you are dealing with is to have a look at the bite mark. Insects have different ways of feasting on the human skin, and they can be easily identified by the type of mark they leave on the skin. There are a ton of differences between bed bugs and fleas. The table below would help identify the type of insect you may be dealing with. Bite Behaviour No instant pain during biting; becomes itchy and rashes appear later Instant pain during biting and later swelling occurs. Hiding Place Bed frames and mattresses, cracks on floors and in walls. Can be transported easily. On furniture and pets. 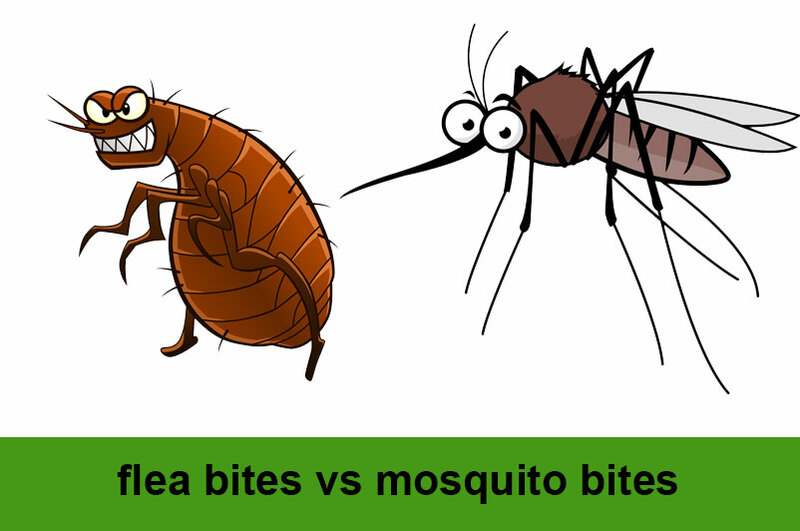 Flea and Bed bug bites have their special symptoms that makes it easy to identify which is which and gives you an idea of what type of insect you are dealing with. It is important to point out that these symptoms are not peculiar to an insect alone and as such, it is necessary for a doctor to examine insect bites to give a detailed diagnosis. 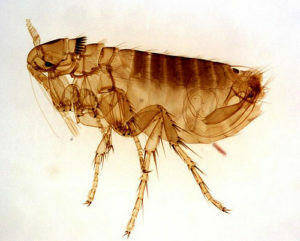 Bites from fleas mostly occur around the legs, waist, feet, or armpit region. In other cases, they could occur anywhere these fleas can reach. Flea bites are typically reddish and swollen. They also tend to itch a lot and are somewhat blotchy. Rashes usually accompany flea bites. Bites from fleas usually form in small clusters and typically possess a white “halo” shape which forms right close to the puncture spot. You can easily identify the halo when your skin is stretched or when you press on the location of the bite. In some cases, days after flea bites, a blister forms although this isn’t a certainty. There is the possibility of developing a secondary infection as a result of scratching and with time could lead to hypersensitivity to flea bites. Bites from bed bugs are quite different from bites from fleas. They are usually hard, swollen and small, much like bites from mosquitoes. They appear on the hands, arms, and neck region of the body. Similar to bites from fleas, bed bug bites could lead to itching. However, they do not lead to rashes. It is important to point out that bed bugs feed linearly, so it possible for their bites to appear linearly than in clusters like those from fleas. The bites from bed bugs do not have the halo shape, although they can form blisters overtime and look inflamed. Depending on your skin type, some people experience no form of irritation or itching while others experience serious blisters, hives, and develop serious itching. Another important characteristic to take note of is the frequency at which these insect bites occur. Fleas eat regularly and continuously, and as a result, their bites may frequently occur if the insects aren’t exterminated. On the other hand, Bed bugs eat once in a few days and as such their bites do not occur as frequently as those of fleas. There are several other ways to identify the type of insect you are dealing with asides looking at the physical symptoms. For instance, fleas are very small and as such are very difficult to identify. If you feel you have been able to identify one, it is important you take a close look at the shape of the insect and the legs. Fleas are usually thin and flat with brown bodies; they have no wings although their back legs are strong and big enough for jumping. Asides rare skin allergies, bed bug and flea bites are more of a nuisance than having serious consequences. Bed bugs, in particular, aren’t known to be disease carriers. Flea bites, on the other hand, could be more harmful since they are known to carry tapeworms, plagues, typhoid to mention a few, irrespective of the fact these diseases aren’t common in the United States. A potential danger could be a cat combined with a flea infestation; this is because fleas could transmit a condition known as cat scratch fever. If you happen to be scratched by a cat that is infected, it could lead to a sore throat, loss of appetite, headaches and swollen lymph nodes. It could be a lot more severe if your immune system has been compromised. Bites from bed bugs and fleas could itch a lot, and constantly itching your skin could lead to skin tear which could give rise to other infections and diseases. It is essential that you try as much as possible to avoid itching. ► Apply a mixture of baking soda and water paste to bites and leave for an hour or thereabouts before washing with warm water. ► Use half a cup of peppermint oil, “Alka-Seltzer”, Baking Soda or Epson Salt in warm water to take your bath. The treatments listed above are usually helpful to deal with symptoms of bed bug and flea bites, there are other peculiar ways of treating the main causes. ▪ Consume a lot of meals with garlic to prevent fleas from coming close. ▪ Ensure you apply shampoos and collars for your pets. ▪ Cleans pets often and ensure you check for fleas from time to time. ▪ Use Water and apple cider vinegar to attract fleas to a trap for fleas. Place liquid in a glass and position it around the area with the highest population of fleas. ▪ Mix water with lime or citrus fruit overnight and spray around the legs or ankles. ▪ Use of one of either lavender, cedarwood or Eucalyptus oil on your skin or put a few drops in water to prevent fleas from climbing the skin. ▪ Ensure you wash every cloth taken on a trip either worn or not. ▪ Use vacuum cleaners in crevices and cracks in your bedroom and everywhere around the house where they could be bed bugs. ▪ Keep clothing in bags frozen for some days ideally four days. 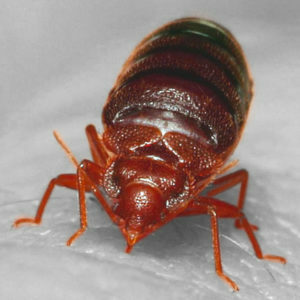 The most difficult part of dealing with bedbugs and flea bite is eliminating the source of the bite. Like we have mentioned previously, flea bites are a lot different from bed bug bites. Bed bugs do not have a main nest like ants and as such killing requires serious attention and effort. Fleas also tend to grow a lot quicker and multiply rapidly. It is important that you hire the services of a pest control expert to inform you about the choices you have. You necessarily do not have to result to fumigation in all cases.